Since 2008 when Sister Cindy Ann Kibler began a ministry at St. Paul Seminary, Pittsburgh in the areas of Pastoral Formation/Apostolic Works for the formation of seminarians and permanent deacons, one event that she continues to attend with the seminarians is the annual March for Life in Washington, D.C.
On Thursday, January 18, 2018, St. Paul Seminarians and faculty (Fr. Tom Sparacino, Rector, Fr. Brian Noel, Spiritual Director, Fr. 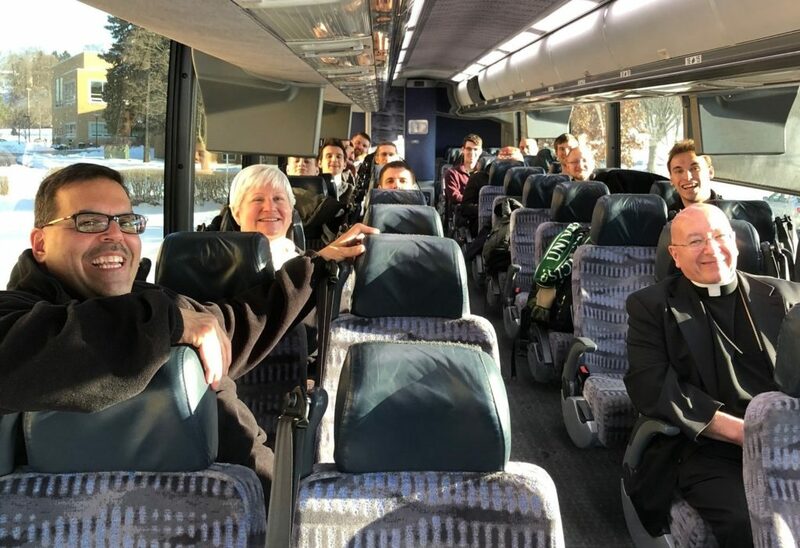 Mike Ackerman, Vocations Director, and Sr. Cindy Ann) boarded a bus to travel to Washington DC for the 45th March for Life events. They were blessed to have the chaplain to the Sisters of the Holy Spirit, Bishop William Waltersheid, accompany them this year. The bus trip included time for communal praying of the liturgy of the hours, rosary, private prayer and watching the movie Romero about the life and sacrifice of Archbishop Oscar Romero of El Salvador. Upon arriving in D.C. they were greeted by Bishop David Zubik and the Pittsburgh seminarians who are studying in D.C. 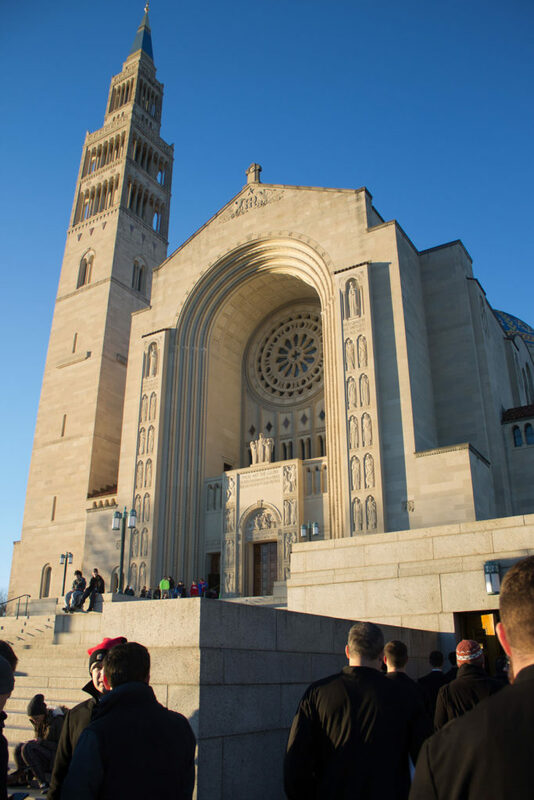 The bishops, faculty, and seminarians then walked over to the Basilica of the National Shrine of the Immaculate Conception for the Vigil Mass, celebrated by Cardinal Dolan, which was attended by youth groups from all over the United States who travelled for days to come together in prayer hoping to build a culture of life at all stages from conception to natural death. 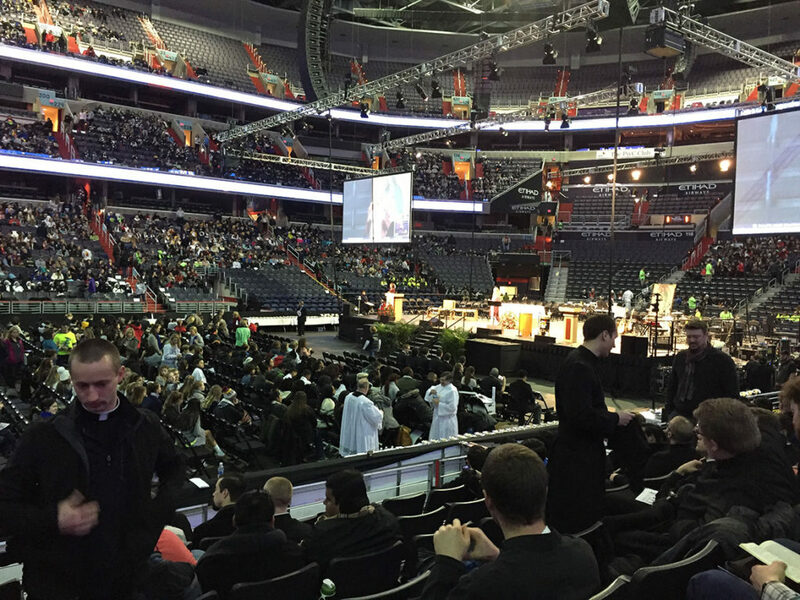 After a night of prayer in the Shrine and a little bit of sleep, they all went to the Capital One Arena at 6 AM on Friday morning for the Youth Rally, Confessions, and Mass for Life which was celebrated by Cardinal Wuerl. Once again youth from all over the country participated. 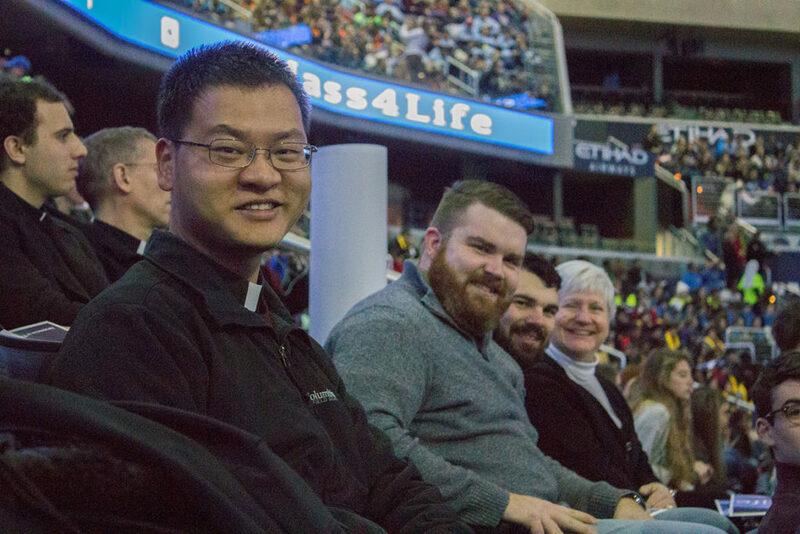 At the end of the Mass Cardinal Wuerl recognized those in seminary and consecrated life and asked the youth in attendance to consider these Vocations in their lives. 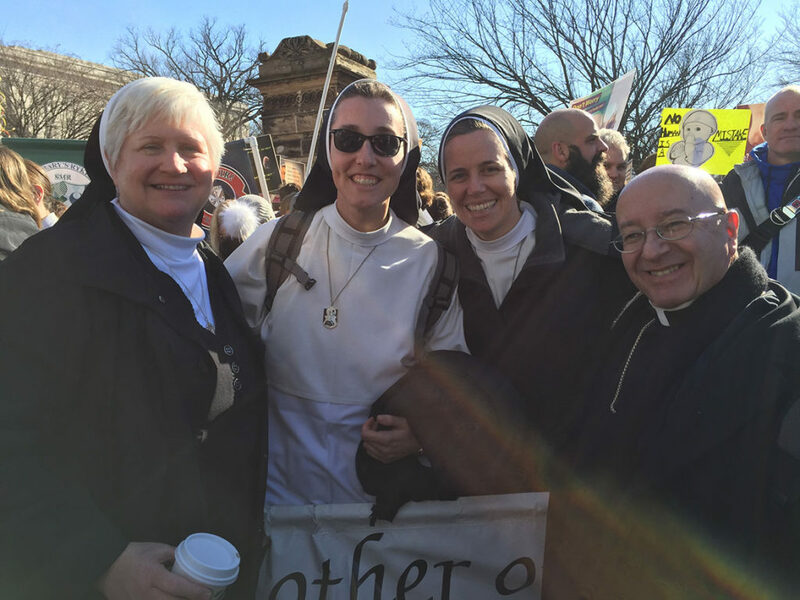 From the Mass for Life all walked to the National Mall to pray, listen to music and speakers, and to begin the March down Constitution Ave. Sister Cindy Ann’s ministry is guided by her dedication to the Holy Spirit and by her lived experience in community. 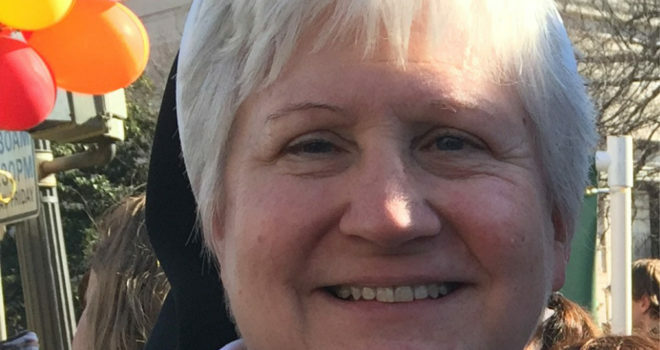 She shares these gifts and qualities generously with the seminarians, priests, and all her colleagues at the seminary in each of the varied activities in which she is involved. 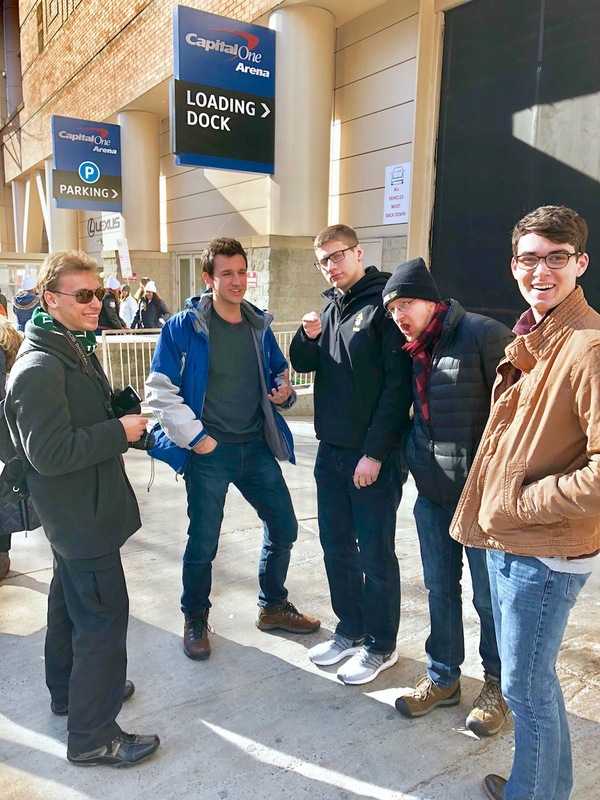 In response to her request for the seminarians to share their experiences of their participation of the March for Life, Brian Hindt said, “This was the first time I participated in the March for Life. It was an AMAZING experience! What a beautiful sign of unity amongst so many from all over the country. 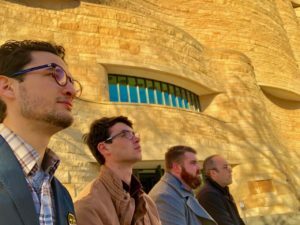 It was a blessing to be a small part in giving a voice for the most poor and vulnerable (unborn) in society today.”Gabriel Salibi added that he wants “to be a voice for those deprived of speaking, not only the unborn but for the countless mothers who are victims in having their vulnerability exploited. 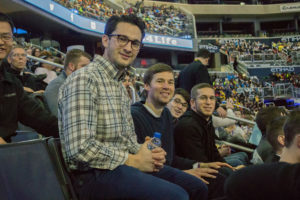 I march not only to revoke our laws concerning abortion but more importantly to promote a cultural reform that upholds the sanctity of all human life.” Sean Farrell and John Kist reflected on their participation as being especially meaningful and powerful as seminarians joining with the hundreds of seminarians present from around the country. 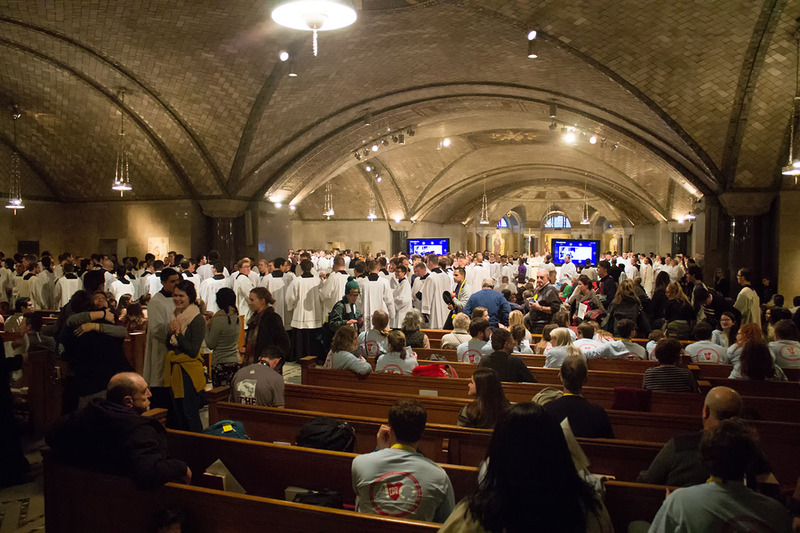 A number of the seminarians were impressed by the presence of the youth present. John Ferguson said that “the young people, those around my age, demonstrated courage standing up for those who cannot do so themselves.